Tired of Being the Grouchy Mom? Join the +Positive Parenting Challenge! As busy moms of energetic kids, it's normal to feel overwhelmed or frustrated sometimes. If you find yourself grouchy more often than not, however, it's time to make a change. 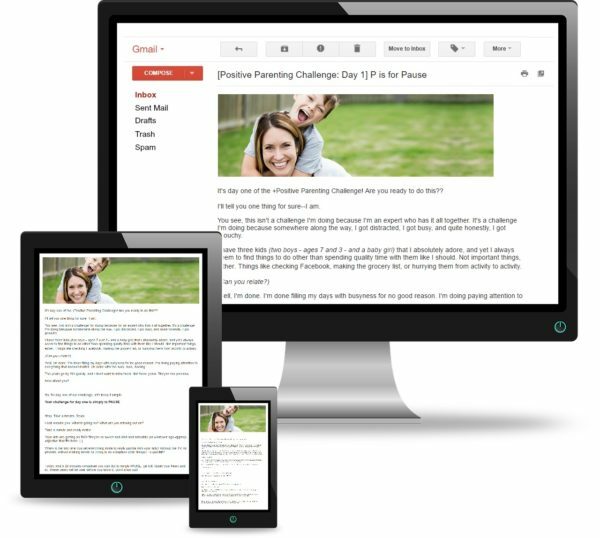 Join the +Positive Parenting Challenge and I'll email you 6 days of quick and easy challenges to help you be a happier, more positive parent -- starting today! It's 100% free, requires no materials and only take a few minutes each day. You can do this! And you'll be so glad you did.